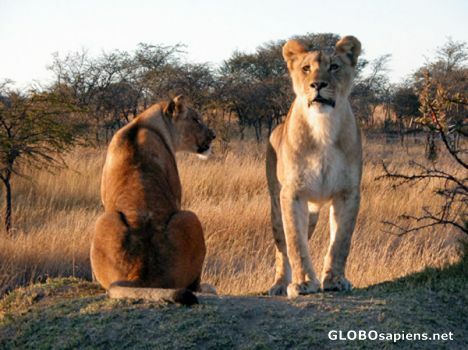 You are here: Member pages » daniserralta » pictures » 2 young lionesses. At the Antilope park. Where you can walk with lions. Wonderful -Posing doesn't count against you with lionesses! wonderful ! i wonder how you have got this much close to them? maybe any kind of zooming? Even the great Kruger Park & also most Wildlife sanctuaries have fences (when no natural boundaries) to promote breeding. Touristy? No! This picture is still ***** for me. Animalz Rule! you know i love animals! and it is so interesting to get close tot hem this much!i can not stop saying wow! ;) ! i really like this photograph. how long did you have to wait for the pose?